This month saw the Country Music world robbed of a singular talent. 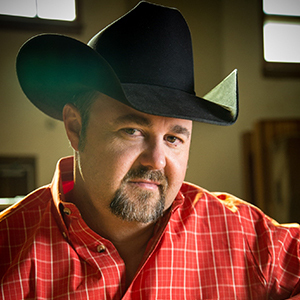 Singer Daryle Singletary passed at home in Tennessee at the age of 46. 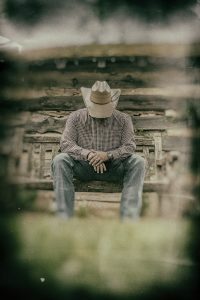 Singeltary’s career boasts over a dozen songs in the country music charts, including “Too Much Fun,” “I Let Her Lie” and “I’m Living Up to Her Low Expectations,” produced by Randy Travis. Singletary made his home in Music City in 1990, playing clubs regularly, and eventually releasing his self-titled debut on Giant in 1995. Last summer saw the release of classic country duets, American Grandstand, with Rhonda Vincent. It befits Singletary’s legacy, whose body of work served as an homage to the classic sound. Singletary was quoted, “I’ve been fortunate to be able to always keep it real and not have to compromise.” Vincent heard the news while in the studio with Dolly Parton and Mavis Staples. Taking to Facebook live, she shared “He’s a dear friend. I am stunned. … Our prayers go out to Daryle’s wife and his children.” Vincent joins a list of collaborators including George Jones and Johnny Paycheck, Dwight Yoakum, Merle Haggard, Ricky Skaggs, John Anderson and Vince Gill. Chuck Rhodes, president of On the Rhodes Entertainment, was kind enough to take some time to speak with us from Nashville during a very difficult week. We asked Chuck how long ago he first connected with Daryle. Just got word that Daryle Singletary has passed away. Rest in peace Buddy, you sang country like country should be sung. My good friend and one of the best pure country singers if not the best, Daryle Singletary passed away this morning. God’s choir just got a lead singer!! !